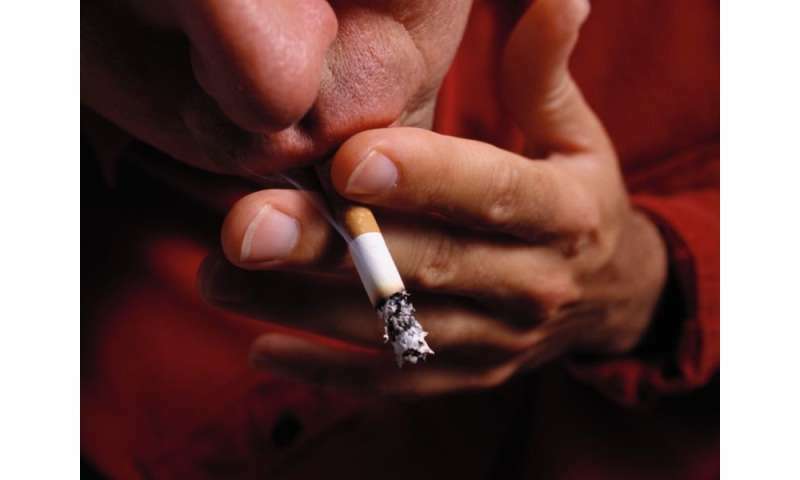 (HealthDay)—Most active smokers with head and neck squamous cell carcinoma (HNSCC) have made one or more quit attempts, according to a study published online April 12 in JAMA Otolaryngology-Head & Neck Surgery. Samir S. Khariwala, M.D., from the University of Minnesota in Minneapolis, and colleagues conducted a cross-sectional study involving 123 active smokers with HNSCC recruited from a tertiary medical center from February 2014 to May 2017. The researchers found that 88 percent of patients had made at least one previous attempt to quit, with a mean number of 6.6 lifetime cessation attempts. The most frequently reported symptoms were cravings, restlessness, irritability, and anxiety. Symptoms were clustered into two groups: increased appetite, cravings, depression (component group 1 [C1]) and restlessness, irritability, insomnia, anxiety, and difficulty concentrating (component group 2 [C2]). There was a correlation for C2 with quit attempts; C1 and C2 were not associated with maximum quit days. There was a positive correlation for cessation attempts and maximum quit days. "Our data suggest that patients experiencing C2 symptoms make more quit attempts; C1 symptoms may be more difficult to overcome because they are associated with fewer quit attempts," the authors write. "Future work will address whether amelioration of these symptoms may help smoking cessation among smokers with HNSCC."